Over the years much has changed both in the body of believers that meet and society as a whole. Sometimes it is hard to be able to see any difference when comparing one group with another, or even person to person. Personalities, location, likes and dislikes make up part of what makes one person unlike another. However, humanity shares some traits like sinful nature or pride, which knows no bounds;we are all affected. So when Tyndale released a devotional titled, The Old Fashioned Way, I wanted to preview what was being presented. I love the movie by the same title not for any other reason than it seeks to restore what tends to get lost in our relating to God and others. The devotion has 40 days worth of topics that encourage audiences to journal and seek God’s wisdom from the Bible. The focus is not on seeking a mate, but on seeking God for the sole reason of being loved by God and returning that affection. We seek to have a mate or just someone to hang around with and do activities with usually because we don’t like being alone. Frankly, we aren’t created to be alone. But seeking to have a person fill the area that only God can fill in our hearts won’t work. Using a devotional that encourages focusing on our one-to-one relationship with God first is a treasure. It doesn’t matter what our marital status or financial status is as those are measurements that will pass away one day. However, the one relationship that is eternal is our individual one with God. He is the creator of romance and His Word reminds us repeatedly of His deep abiding love for each one of us. Here is a devotional tool that you might find helpful in learning to hear, talk and relate with Your loving God regularly. From that, all other relationships are touched. The question now is are you willing to live a life where your focus is on your walk with God and allow Him to take care of the desire of your heart? Let’s begin by putting the horse before the cart, which is reverse of how I have seen many people live life each day. Spend time alone with the Lord; let Him teach you His version of love and romance. Then, when and if He brings you someone to walk through life with, then together you can seek Him every day. 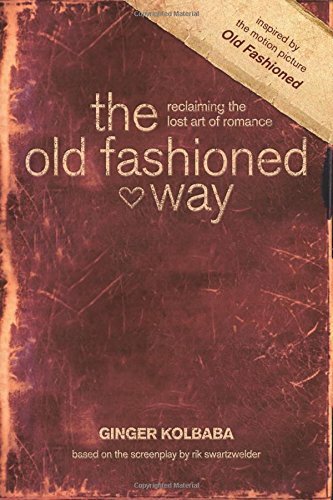 If you have been married awhile, don’t overlook this devotional as it just might rekindle what has been snuffed out by daily life in a broken world.